On this month's mumblings over on our Facebook page, I was joined by returning guest Samantha McCrae. We chatted about her trip (and lack of trying food) along with the few items of news below. 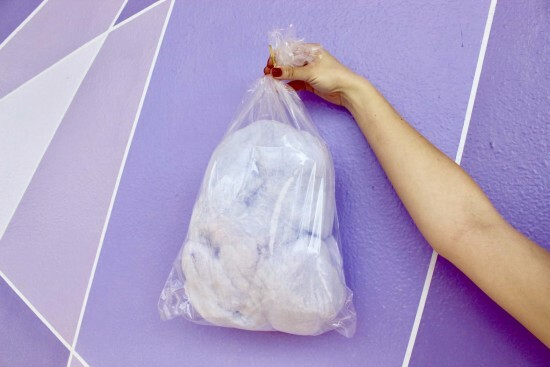 The Purple Wall craze at the Magic Kingdom has taken the next step with the new Purple Wall Berry cotton candy! While the concept art is now out-of-date and not accurate to what the project will actually entail, Disney is still moving forward with a complete overhaul of the park entrance and central area of Future World as part of “Project Gamma” (as Walt Disney Imagineering is calling it). Included in this project will be the overhaul of Spaceship Earth, as well as a lot of new and interesting changes for the main thoroughfare of the park that are still very much in development. As far as Spaceship Earth is concerned, the overhaul will be so thorough that it will require the ride to close from early 2020 until the park’s 40th anniversary in the second half of 2022. That’s basically two and half years without Spaceship Earth in our lives. Why would a project like this take so long? Well, needless to say, there’s a lot to it. Spaceship Earth is aging and it is about time for the entire ride track to be overhauled. Walt Disney World is set to open a new 50-megawatt solar power facility by the end of the year that will be capable of completely powering two parks. A recent New York Times article showed off the facility, which is located within a 270-acre area dedicated to renewable energy just outside of Disney’s Animal Kingdom. The facility, composed of over half a million solar panels, is part of Disney’s overall effort to reduce its net greenhouse gas emissions by 50 percent by 2020 (And thus, the spirit of the Universe of Energy lives on). The facility was developed by the Reedy Creek Improvement District and Origis Energy USA. If you would like to join me on a future Mid-Month Mumblings live show, send me a PM and we can get this arranged. DLP - May 2013, May 2018! Florida - 1998, 2000, 2005, 2008, 2010, 2012, 2015, 2016, 2018, 2020? First ever trip to NY!